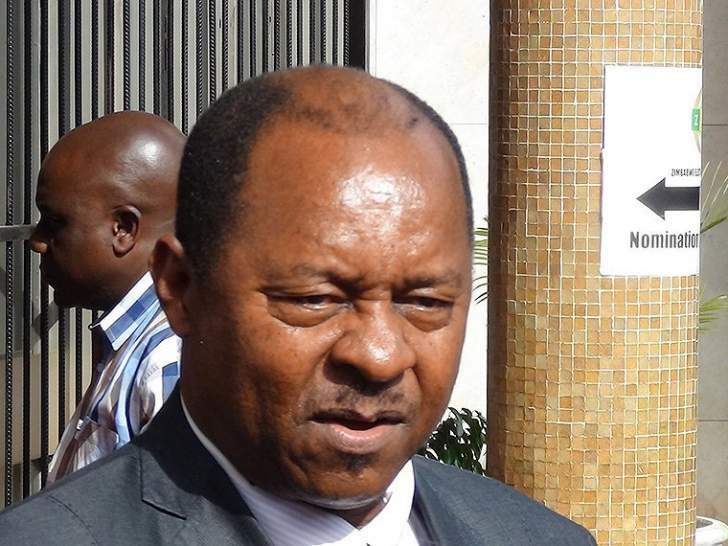 Zimbabwe's new Health Minister, Obadiah Moyo, is an academic fraud who does not have the qualification he claims to possess, according to the United States embassy. Moyo, who lost to the MDC Alliance after standing on a Zanu-PF ticket in Zengeza East on July 30, was named in President Emmerson Mnangagwa's Cabinet for the first time on Friday, and is due to pick up his letter of appointment on Monday. But according to a G40 linked website ZimLive.com has established that Moyo's credentials have been questioned in confidential United States diplomatic cables, released by whistle-blower website, WikiLeaks. In a classified cable from 2008 titled ‘Collapse: Zimbabwe's Health Care System', the embassy detailed how the country's health system had virtually collapsed as Zimbabwe went through its worst economic crisis in history. Moyo's "overly rosy description of his hospital provided a glimpse at the political sensitivities of the health system", the confidential cable, dated November 20, and classified by Ambassador James McGee, says. The cable noted that an embassy staff member who lives in Chitungwiza "painted a substantially different picture". And in a note in brackets, the cable says further checks after the encounter with Moyo "who asked us several times to keep his visit to the embassy secret" revealed that he had lied about his qualifications. "Moyo's business card indicates he has both a PhD and a medical degree. After our initial meeting, we learned that he earned neither. Rather, he was Sally Mugabe's dialysis technician at Parirenyatwa throughout her long struggle with a kidney disease. After Sally's death, Mr. Moyo suddenly became Dr. Moyo, and in 2004 he became CEO of Chitungwiza Hospital," the cable concludes. The Chitungwiza General Hospital website says Moyo is a "registered renal specialist and consultant chemical pathologist" who has won "several international awards in recognition of his contribution to the international society in nephrology and pathology." A search on the Medical and Dental Practitioners Council of Zimbabwe (MDPCZ) website however returns no hit on ‘Obadiah Moyo', although the outgoing Health Minister Dr David Parirenyatwa is listed together with his primary medical degree, the awarding country and year it was obtained. The council regulates the medical and dental professions in Zimbabwe. The International Society in Nephrology says on its website that it is a "philanthropic organisation dedicated to advancing worldwide kidney health". It is silent on fellowships but provides membership for a fee to health professionals who want to receive e-newsletters, access their membership directory, read journals online and obtain reduced rates to attend their events. To be a fellow of the Royal Society of Biology, one should have made a "prominent contribution to the advancement of the biological sciences, and gained no less than five years' experience in a position of senior responsibility". One must pay £930 for a life fellowship, which comes with a licence to use the FRSB post nominals. A check on the Royal Society for Public Health website showed that the fellowship touted by Moyo does not relate to any measurable academic or professional contribution. The recipient merely needs to pay £140 per annum to be granted the fellowship. Anyone who has a "career commitment to the improvement of population heath and/or well-being" and has "five years' experience in a public health related post" can simply pay and acquire the high-sounding post nominals to add to one's name. Moyo also runs a pathology laboratory in Harare. He only lists the fellow of the Royal College of Pathologists post nominals "(FRCPath)(UK)" on the laboratory's paperwork. We asked the college if Moyo is one of their fellows, but had not received a response at the time of posting. A doctor who spoke to this website said Moyo needed a MDPCZ registration to run the laboratory. "Without it, he's running an illegal operation," the doctor said. "It's either he's a pathologist extraordinaire or a pathological liar. I will need some convincing that in a country devoid of many sub-specialty professionals, our newly-appointed minister for health could fail to register his qualifications with the MDPCZ," the doctor said, asking not to be named. He added: "A consultant chemical pathologist and renal specialist would be sitting in a plush office in the Harare CBD dealing with the many renal patients in need of specialist services. The man has never even opened GP rooms, as far as I know." Moyo's phone rang unanswered across several hours on Saturday. This article will be amended to reflect his comments on the allegations raised as an when he responds.